I haven’t been able to locate much information about John Gay, but I believe he served in the Confederate army. Also, I’m unable to validate an exact date of construction. 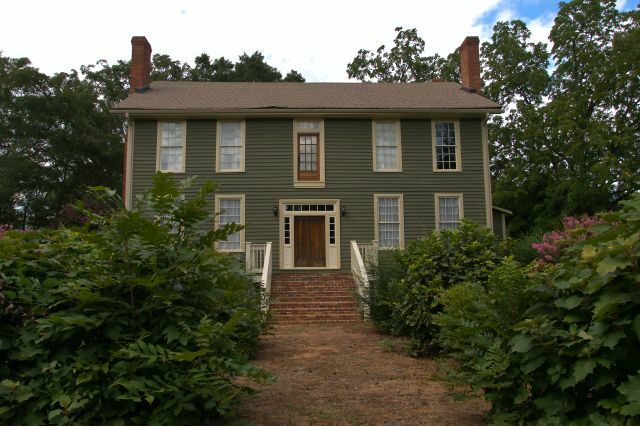 The National Register nomination form lists both 1840 and 1850. 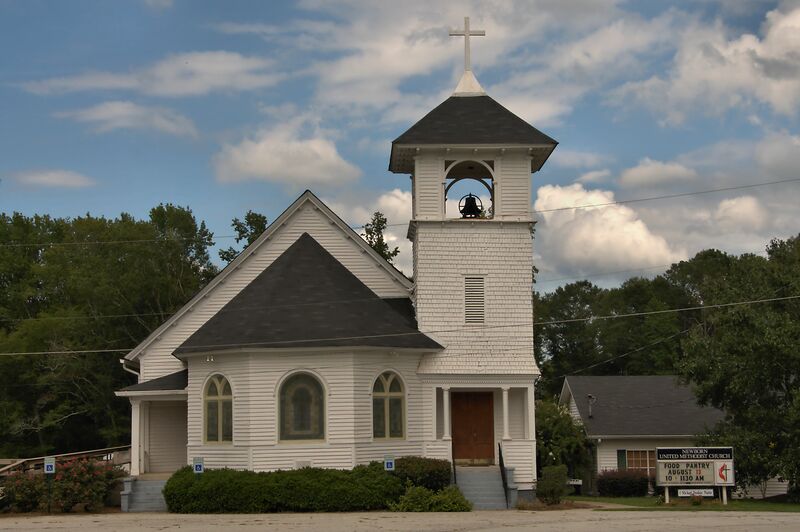 Established in 1820, Newborn United Methodist is the oldest church in Newton County. This is the third church to have been built on this site. 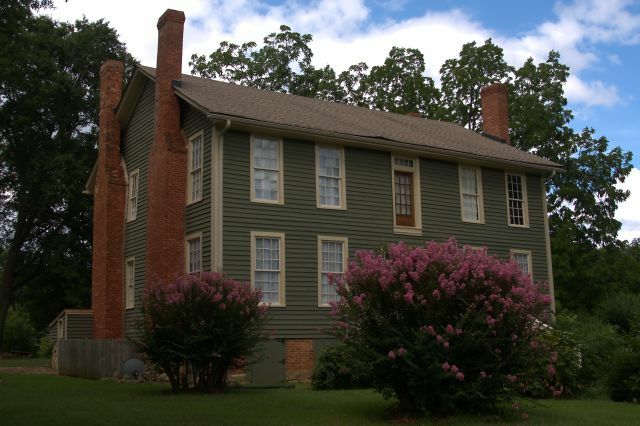 When Newborn was known as Sandtown, pioneer members of the Methodist Episcopal congregation built a log cabin church here. It was replaced by a more permanent structure in 1847, and the present church was built in 1902 and dedicated in 1903. 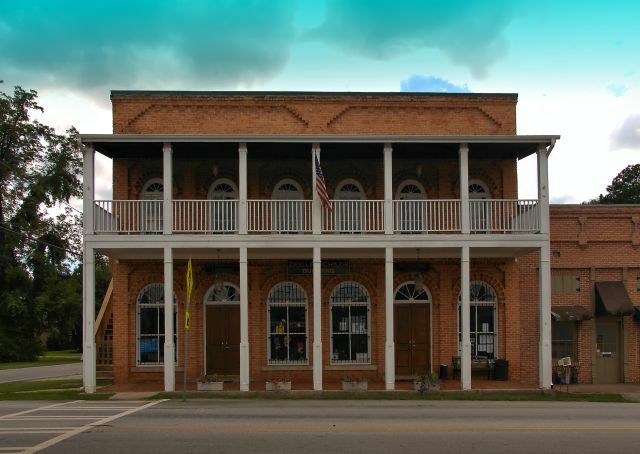 Childs General Store was one of the first retail establishments built in Newborn before the railroad came through the town in 1893 and was restored after a fire in the 1990s. 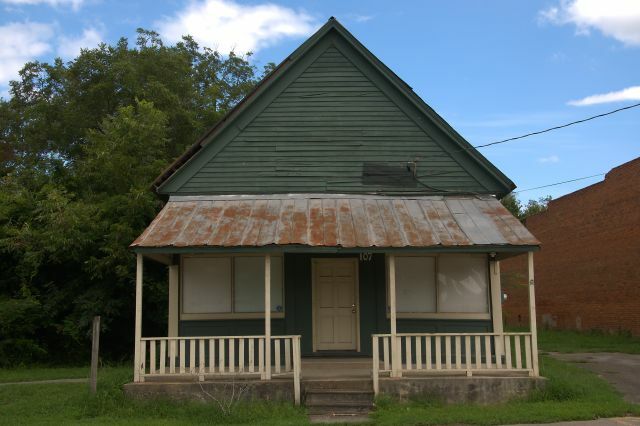 Now known as the Zeigler-Childs Building and home to the Newborn Town Hall and Library, it remains a symbol of the community. 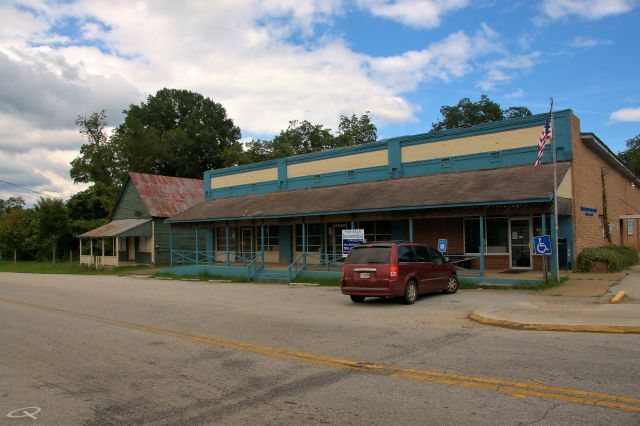 The old post office and drugstore is on the left and the slightly more modern commercial block has housed a grocery store and on the far right, the present-day post office. This is the only wood-framed building to have survived a large fire in Newborn’s commercial district in 1925. Built with concrete poured on site, the Newborn Fertilizer warehouse is quite popular with photographers. The red clay visible in the walls is dominant in this area, which remains largely agricultural despite its proximity to the Atlanta metro area. 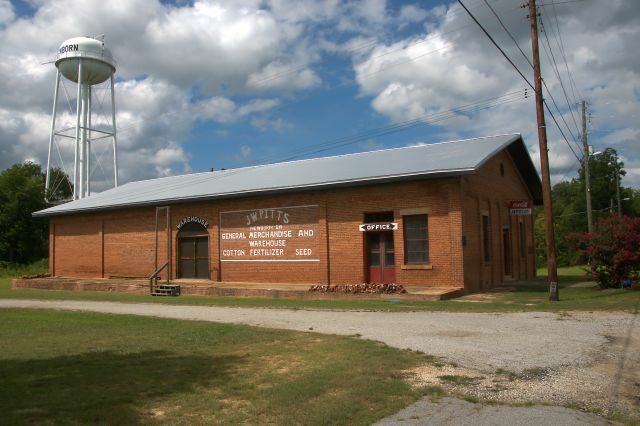 Built as a cotton warehouse along the Central of Georgia Railroad tracks, this structure later housed J. W. Pitts’s general merchandise store. 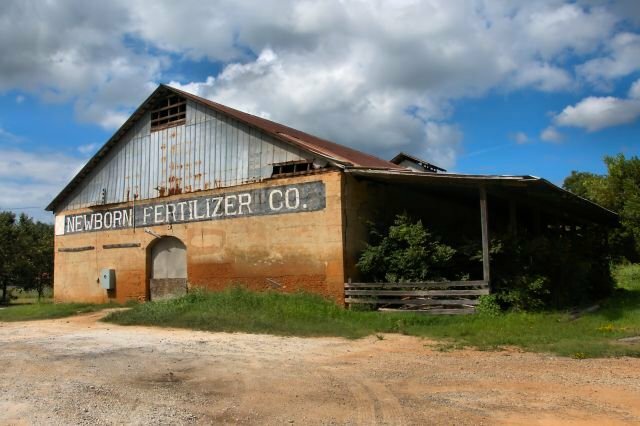 Pitts also sold agricultural products, from feed and seed to fertilizer.